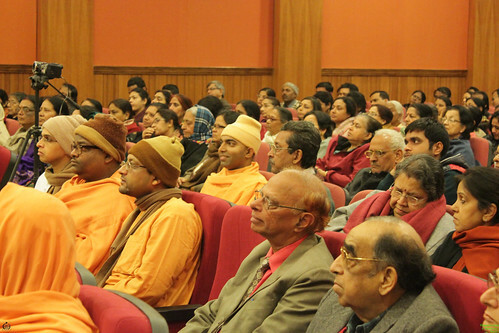 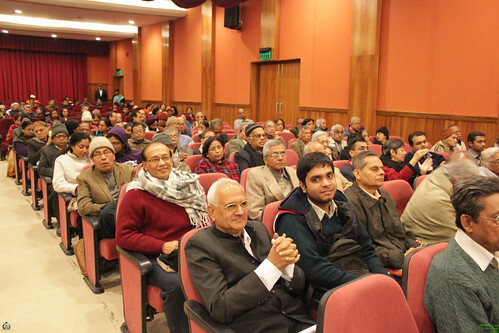 A Public Meeting was held on the 11th Jan, 2013 in the Vivekananda Auditorium of the Mission premises. 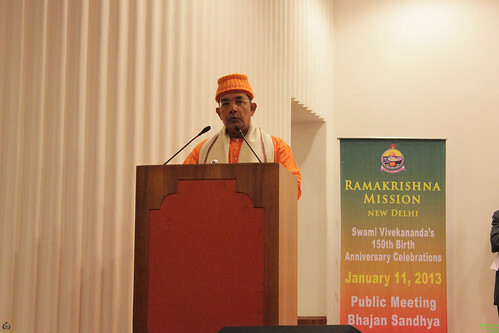 Revered Swami Suviranandaji, Asst. 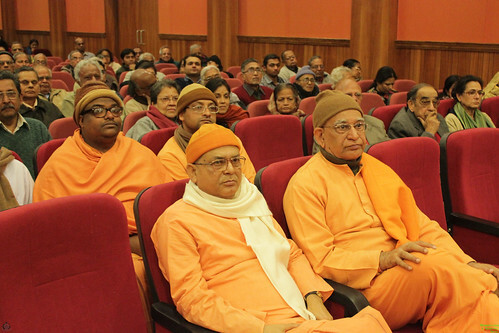 General Secretary, Ramakrishna Math and Ramakrishna Mission, Belur Math, and Swami Ishatmanandaji Maharaj, Belur Math were the invitees. 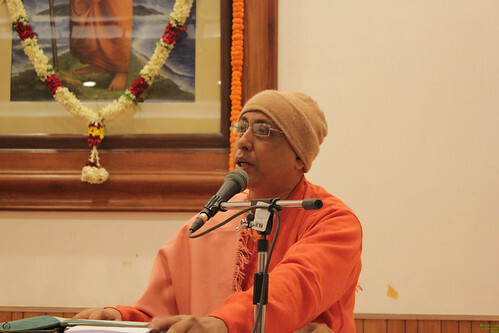 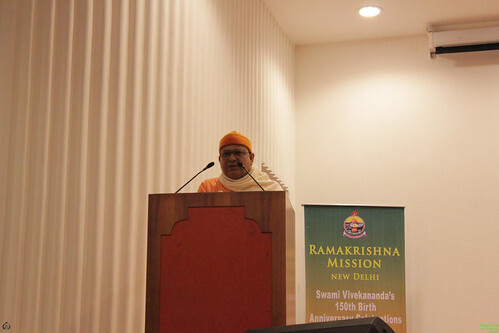 Swami Shantatmanandaji, Secretary, Ramakrishna Mission, Delhi gave the welcome address after Vedic Chanting by the Monastics. 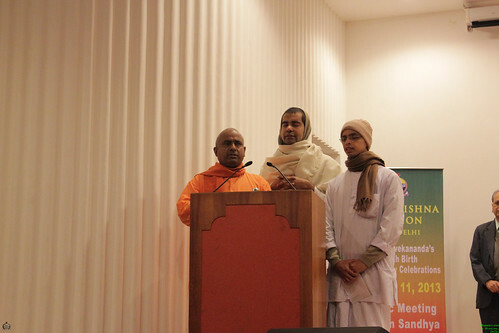 Swami Ishatmanandaji and Swami Suviranandaji addressed the audience with Swamiji as the focus of the 150th Birth Anniversary Celebrations. 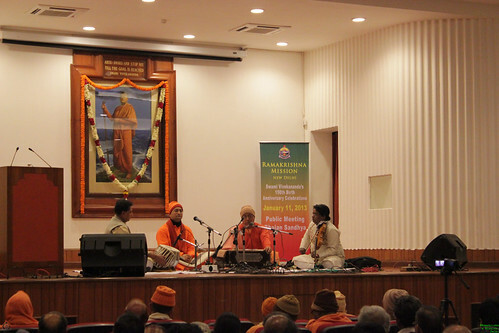 This was followed by a grand exposition of Classical music by two renowned musicians of the Order, Swami Animeshanandaji and Kripakaranandaji. 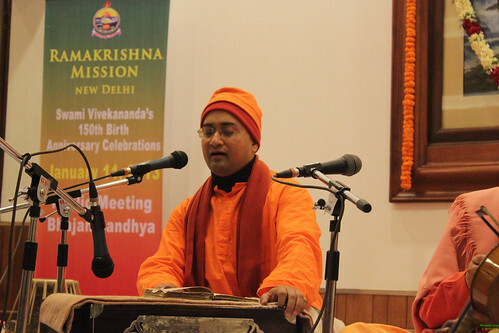 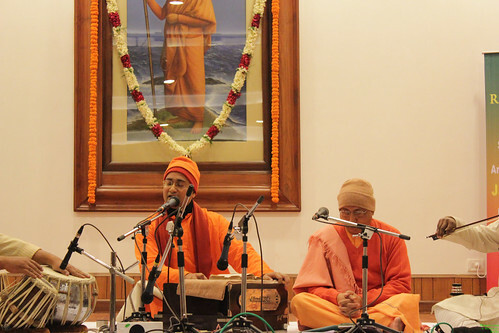 Their choice of songs were songs written by Swami Vivekananda or songs on Swami Vivekananda.